Sturridge: "full and unequivocal cooperation" with FA investigation. 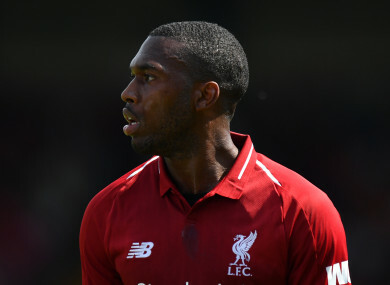 LIVERPOOL STRIKER DANIEL Sturridge says that he has ‘never gambled on football’ after he was charged by the FA for an alleged breach of betting rules. The incidents under investigation took place in January 2018, the FA said in a statement on Monday evening. Sturridge, 29, has until 6pm on Tuesday 20 November to respond to the charge. “Daniel has given his full and unequivocal cooperation throughout this process and has assured the club he will continue to do so,” a Liverpool spokesperson told the BBC. Sturridge’s misconduct charge relates to Rule E8(1)(a)(ii) and Rule E8(1)(b) of the FA’s Betting Rules. Email “Liverpool striker Daniel Sturridge charged by FA over alleged betting breaches”. Feedback on “Liverpool striker Daniel Sturridge charged by FA over alleged betting breaches”.